Please welcome Sam Moeller to the CRNRA. Sam grew up in Roswell and attended Roswell High School. 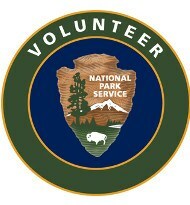 He volunteered at the park for a while and participated in the Trail Crew Leader class and the Sawyer course. He graduated from the University of Georgia in May 2018, and he took this job so he can get a job with the Park Service.